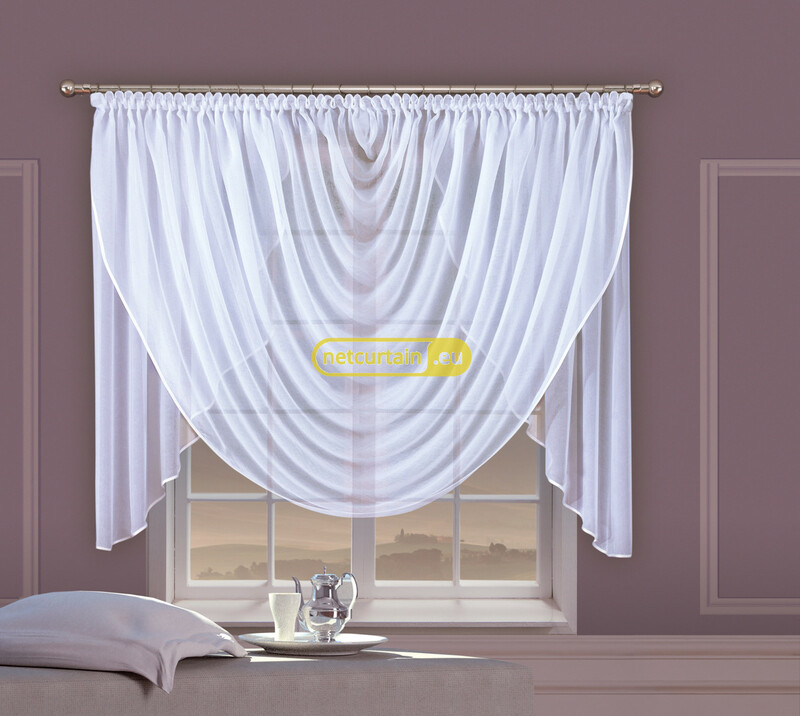 Ready made white or creamy veil crash net curtain. Gathered like a drapery with two "curtains" at sides. Sewed with gathering tape 1:2,5. Usable width is 160 - 250 cm.